If you think Big C Supermarket is only for shopping and dining, then you are misinformed 🙂 Entertainment? Of course. 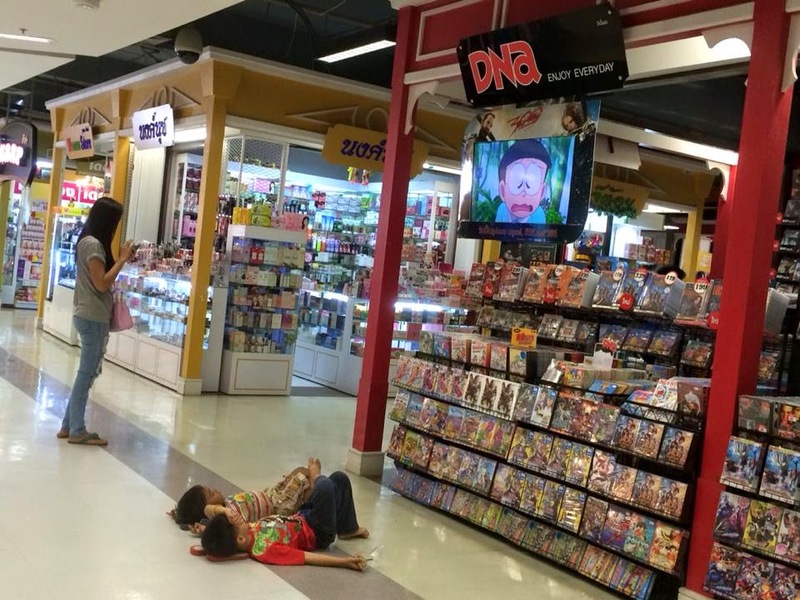 Aside from Major Cineplex and the arcade center, there is also another place where you can actually relax… on the floor. My colleague at the university uploaded this photo on her Facebook account. Lying on the cold floor with legs crossed and oblivious of people passing was indeed awesome. Notice as well the one in stripes whose hands were behind his head. Can you top that?